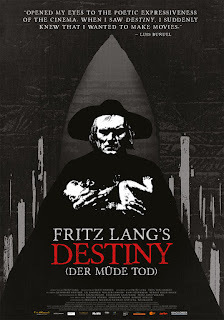 Upon seeing Fritz Lang's Destiny (1921), Luis Bunuel was quoted as saying that "it opened my eyes to the poetic expressiveness of the cinema. When I saw Destiny, I suddenly knew that I wanted to make movies." 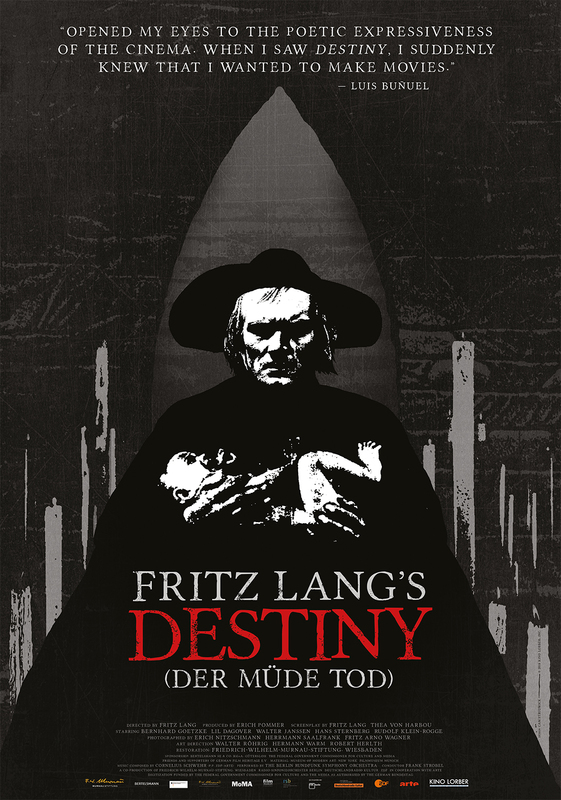 If nothing else, we can thank Lang for giving us Bunuel's entire career, but more than that, Destiny is a stunning early masterpiece from an artist who would also give us Metropolis, Die Nibelungen, The Testament of Dr. Mabuse, M, and The Big Heat. It's easy to see why Destiny so inspired Bunuel (young Alfred Hitchcock also cited it as a key influence). Like many German films of the period, it feels like a legend come to life - telling a sprawling story about a young couple who meet with Death along a rural country road. When Death takes the young man, his fiancee begs him to return her love to life. Death agrees that if she can save the life of one of the next three people he is due to visit, then he will give her back her fiance. What follows are three separate tragic love stories set in three different locations - Persia, Italy, and China, where she desperately tries to save three different men from Death in order to save the man she loves. 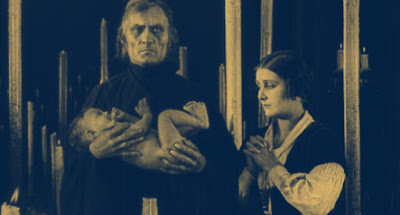 Destiny is one of the most visually striking films Lang ever produced, which is no small feat. Death's lair is an evocatively designed cavern filled with burning candles of varying height, each representing a life waiting to one day be snuffed out. Its entrance is a long, steep staircase through a wall, framed by Lang as a kind of dark stairway to Heaven. The special effects work is also particularly impressive, and not just for the time period. Lang pushed the boundaries of what was possible with the camera, and while the techniques may seem basic now, they're remarkably effective. While not a strictly Expressionist film, one can nevertheless feel the Expressionist influence on the stark uses of light and shadow. Lang especially uses silhouette to great effect here, combining it with color tinting in often haunting ways. The restored color tinting, along with the new 2K restoration by Anke Wilkening on behalf of the Friedrich-Wilhelm-Murnau-Stiftung, come to life on the new Blu-Ray release by Kino Lorber. What makes Destiny so compelling, however, is the fact that Lang paints death not as a monster preying on his victims, but as a weary angel, tasked with carrying out the Lord's dirty work for all eternity. This version of Death despises his work, and has been made hard and bitter by years of being surrounded by misery. In that way, the film becomes a kind of spiritual meditation on the nature of death, of its inevitability as much as its cruel sense of fairness. In the end, we all meet the same fate, no matter how far we run, young or old, rich or poor, we all meet our destiny alone. Yet rather than being cynical or downbeat, Lang finds a kind of otherworldly beauty in Death's cold embrace. Destiny is visionary filmmaking, the work of an artist exploring the possibilities of a new and burgeoning art. Lang was a consummate visual storyteller, so much so that the intertitles almost become unnecessary to understand the plot. 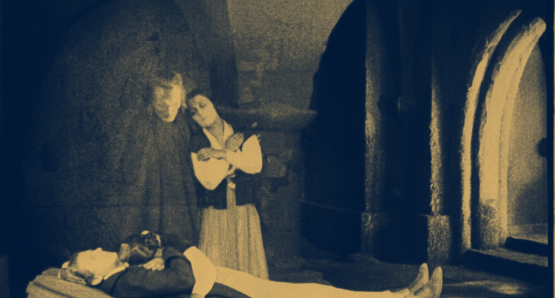 Each frame is a work of shocking beauty, making it one of Lang's most indelible cinematic works. On Blu-Ray and DVD from Kino Lorber on August 30.